The last couple of years has seen a massive increase in the variety as well as sheer amount of beauty boxes hitting the market – I can think of about eight off the top of my head. And now yet another brand new box has just landed. 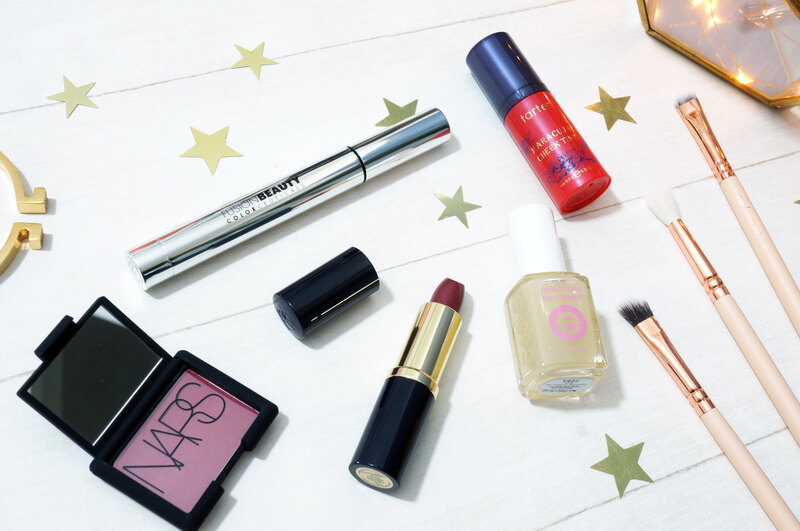 New beauty site Look Incredible have recently launched their own monthly subscription box, including a mixture of high end and high street brands, for £18.99 per month. So what’s so special about this box? Why would you be interested in this above any others? Well the Look Incredible box promises five full sized products every month – you’ll find no sample or travel sizes here! For £18.99 a month (plus £2.50 shipping) this sounds very reasonable. Total value of box = £86.48. Now that is pretty impressive for an £18.99 box! Starting with the one brand out of the five that I hadn’t heard of – the Fusion Beauty IllumiCover Concealer. This is a Touche Eclat style pen, combining the effects of a concealer with a light reflecting product. This didn’t give quite as much coverage as I’d like, but then I do have particularly dark circles. It’s a nice product though that gave a natural finish, and most importantly didn’t settle into my fine lines. The NARS Eyeshadow in Grenadines is probably my favourite item out of this box. It’s a beautiful deep warm reddish terracotta shade. This colour may not be to everyone’s taste but I absolutely love it! I think red toned eyeshadows can look great on blue eyes so I’m looking forward to wearing this out! The Essie Millionails Nail treatment is also a product I’ll definitely get use out of. My nails haven’t been in the best condition of late so I’m pleased to find this strengthening treatment in the box. And lastly the products I’m probably least excited about – the Tarte Cheek Tint and Estee Lauder Lipstick. There’s not actually anything wrong with these products at all, I just prefer a powder blush personally, and the lipstick shade isn’t really for me. Overall I think this box is fantastic value for money. It seems to have slipped nicely into a gap in the beauty box market now Cohorted’s boxes are £35 each, and the cheaper boxes such as Glossybox include mosty trial size products. Though I think this is a great box, there are still a couple of improvements I can think of – I would love to see a bit more effort put into the product information leaflet, this was a single sheet leaflet that wasn’t the best print quality. I’d also advise Look Incredible to be wary of including base products such as foundation and concealer as there will always be customers that are disappointed with the shade they receive. Overall though, this is a very promising box indeed, and I’m looking forward to seeing which products will be included next month! I’d love to hear what you think of this box – would you buy it? Next Post Templespa Double Truffle Review & Giveaway!